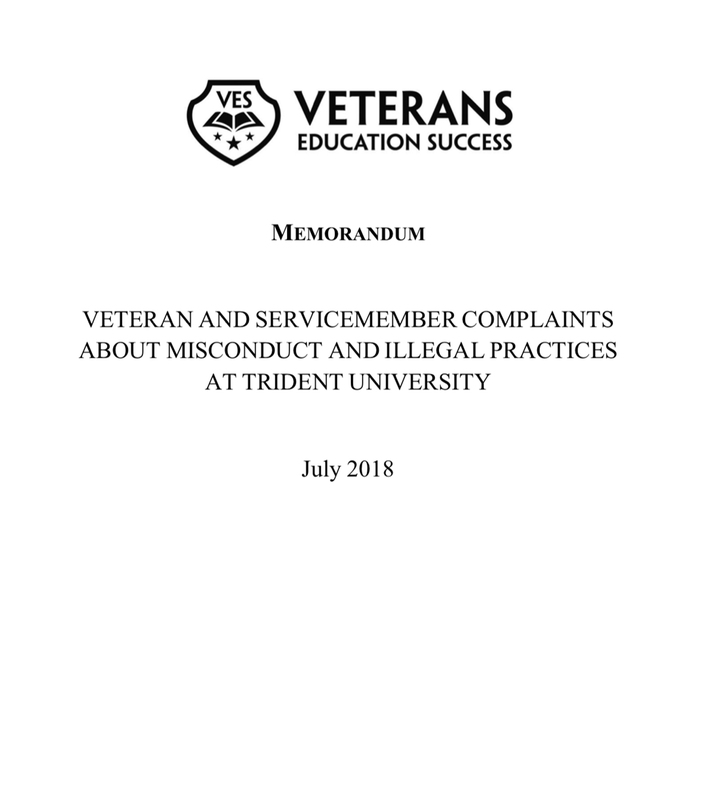 Forty-six military-connected students, however, have submitted complaints to Veterans Education Success (VES) about various issues they allegedly experienced with Trident. In one way or another, those complaints indicate that Trident does not necessarily live up to its claims about its university. This document describes and organizes those complaints by the types of harm they raise and provides context and background information.